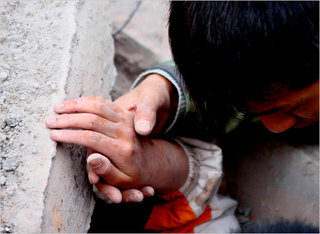 A lot of the news about the earthquake this week in China emphasized the tragedy of students trapped and dying in poorly built schools. Unfortunately, outrageously, perversely, school buildings around the world are potential earthquake death traps. Remember Pakistan, where 7000-plus schools killed 17,000 students? Revkin cited an OECD report that states "schools 'routinely collapsed in earthquakes around the world because of avoidable design or construction errors, or because existing laws and building codes were not enforced." That last bit was a polite way of saying "corruption" -- the allowance of poor design and pathetic construction in exchange for personal favors. Here in Turkey, construction contractors have a nasty habit of fleeing the country when their buildings kill people, so the system apparently works --for them. The reports by Revkin reminded me again of the latest such tragedy we witnessed here in Turkey. Five years ago this month, an earthquake in the Southeast killed nearly 170 people. Half of those killed were public boarding school students in a single dormitory building (click here for the CNN report). More than 90% of the schools in the area were affected by that quake. It is better to be ten years too early than one day too late. Nice topic and very nice read too.